The man accidentally recorded video of himself after allegedly breaking into a Venice area home. 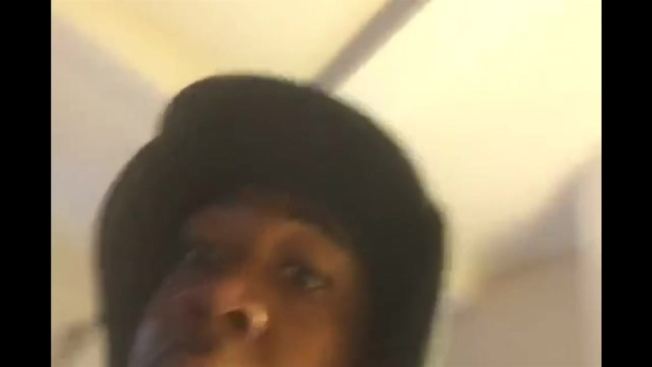 A Southern California intruder probably wasn't ready for his close up when he accidentally took a selfie while burglarizing a Venice area home last week, police said Thursday. The man allegedly broke in through an unlocked door and then accidentally recorded video of himself after opening an app on an iPhone that was in the home, the LAPD said. Wearing a black hat and hood, the man peered into the camera before quickly turning it off. The intruder then ran out with the cellphone while three people slept in nearby bedrooms, police said. The victim told police his phone has an app used for surveillance that alerts him when any video is taken, LAPD Detective Salazar said. The victim got an alert that someone turned on the phone's camera, so he called police and said someone came into his home and took his phone, Salazar said. He was able to remotely access the video, which was released by police. Anyone with information about the incident is asked to call Salazar at 310-482-6363 or to report information anonymously by calling 1-800-222-8477.